Are your kids complaining of boredom during their summer vacation yet? 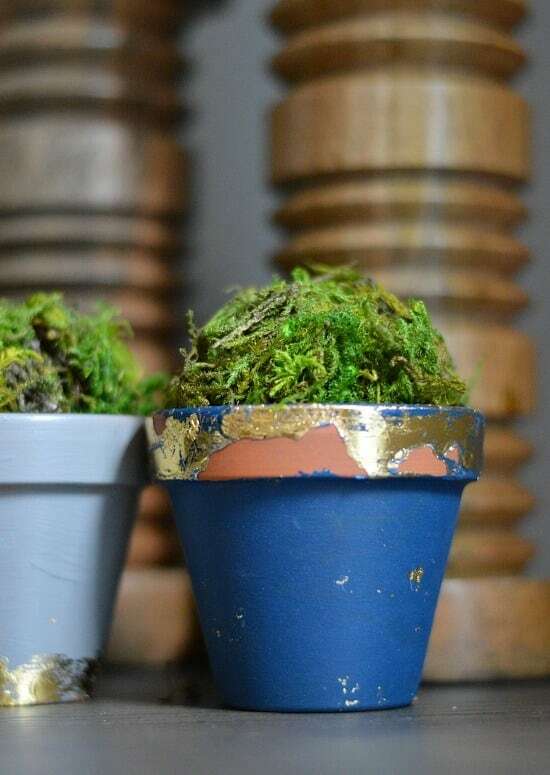 If you are looking for fun DIY crafts for a rainy afternoon or for any day really, these Gold Leaf Plant Pots are really easy and cheap to make and look simply adorable! I used cheap terracotta pots and popped my DIY Moss Balls in them. 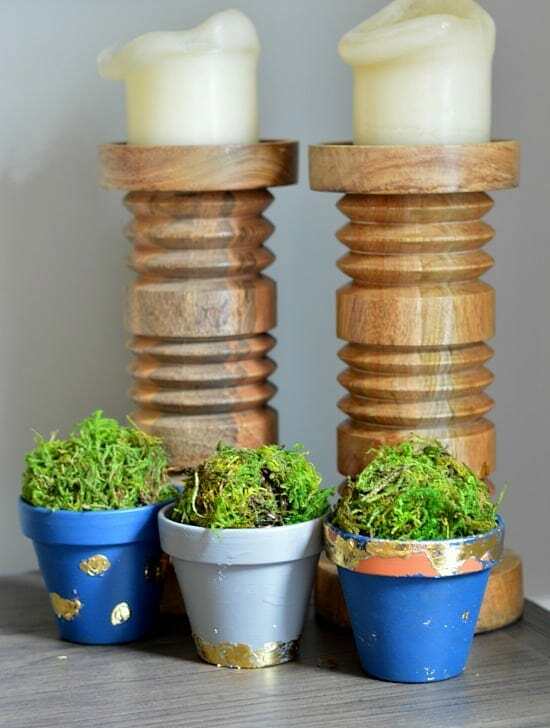 Of course, you can add any sort of plant to them – a little cactus, some succulents or a small flowering plant from your local nursery would look adorable. Navy blue and gray is one of my favorite color combinations so that’s what I picked for colors. Doesn’t the navy and gold just look so perfect together? 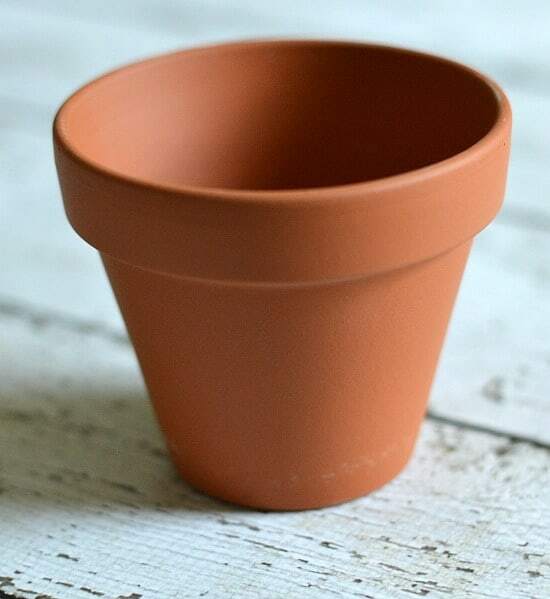 Pick a terracotta pot in a size of your choosing. Paint the pots whatever colors you like. Apply liquid adhesive to the areas where you want the gold foil to adhere. I did little swirls, a stripe along the base and the top of another pot. Let the adhesive drive until it turns COMPLETELY transparent. This is important. It will not work unless you let it reach this stage. I’ve found this can take up to 30 minutes depending on how thick you’ve applied it. A thin layer should take about 10 minutes. Rub the deco foil onto the adhesive, GOLD SIDE UP. You may want to burnish it with an object like a credit card or pen. Usually a good rub with your fingers will do the trick just fine. That’s it! Have fun and experiment decorating your little pots!